There was a thread on Channel9 that got me to remember the blibbet. "The blibbet?" What on earth is a blibbet? Those of us who've been at Microsoft for a long time all have fond memories of the blibbet, which was cruely killed off in a fit of corporate ire in 1987. Not only was it our corporate logo, but if you look at Microsoft binders from the time (1982-1987), you'll see that the blibbet is used as a watermark on it. At one point, I had a "save the blibbet" button, but unfortunately, I can't seem to find it (otherwise I'd post a photo of it). Periodically you find reminders of the blibbet around campus. For example, the cafeterias used to offer a "Blibbet Burger" - a double cheeseburger with bacon, IIRC. Edit: Added more after a little bird sent me the image.. When Microsoft announced that the would be retiring the blibbet, a number of employees mounted a fruitless "Save the Blibbet" campaign to retain the corporate icon.
" For example, the cafeterias used to offer a "Blibbet Burger" – a double cheeseburger with bacon, IIRC." Penguins? Where do penguins come from (other than mommy penguins). "Penguins? Where do penguins come from (other than mommy penguins). " 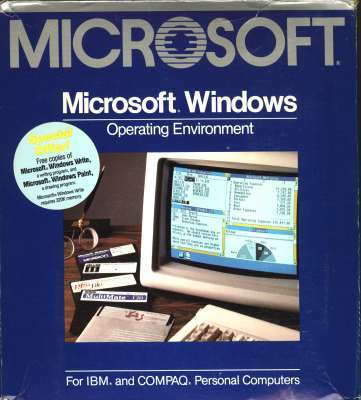 The only thing I have with the bibblet is my 1984 copy of "Microsoft BASIC Interpreter for Apple Macintosh". It just seems wrong to part with such an antiquated book. Well, this year I didn’t miss the anniversary of my first blog post.